Have you found that special one? The person that you wouldn’t mind spending eternity and beyond with? If your answer is yes. Then all that is left is a candle on the table, a knee on the floor and words from your heart to tell her just how much she means to you. But wait, we forget something, you don’t have an engagement ring yet. These type of rings are potent symbols of love. They remind you of the good times you have had, and the fantastic time you still have with the most special person in your lives. 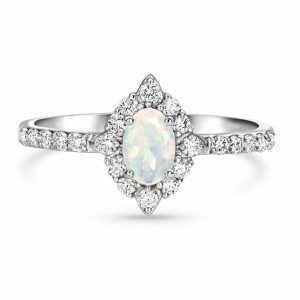 Moonstone engagement rings are one of a kind and with their demure look with amazing design. We do not doubt that they will be just right for you and your spouse. Take a look at the ones we have for you in this article, and you will see wedding bells reeling all over the screen. 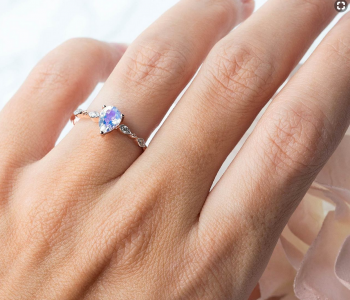 The frost ring on our list is one of our favorite ones; it has so many amazing features that only a picture can paint the real beauty of the product. With the robust build and an excellent chrome of lovely colors, moon magic’s investment shines on so many levels. It has a maximum appeal and would is fit to show the one you love how much she means to you. Engagement pieces are always known for their glimmering look, and they are there for all to see and know that you are taken. And that is what this moonstone ring does; it has a grade AAA iridescent moonstone decorating the band. 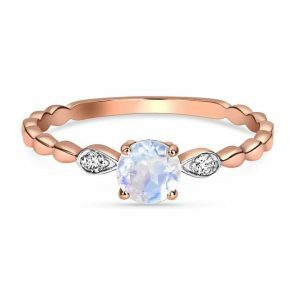 Apart from the ever beautiful moonstone, there is eight beautiful diamond set around the solid 14 kt metal band used for it. The ring is an outstanding piece of jewelry, and you would be all google-eyed with the way it catches the light at the perfect spot and reflect various colors. Your special day should be nothing but exquisite, and this ring has all it takes to make sure that it is. Both the moonstone and diamonds are arranged in a bezel setting and has moon powers to guide her through her emotions. It comes at a price that fits the quality. Other info: the gold carat band is 1.91 carat, and the diamonds are 0.07 carat. The band size varies so you can pick the one that is fit for her fingers. 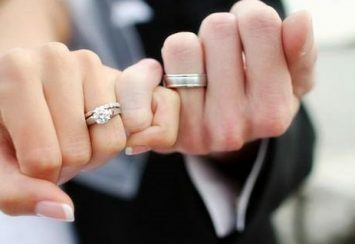 Engagements are a thing of pure joy, and we want to complement that with the best rings that you can find. This magical moon-shaped piece comes with a combination if 0.24-carat diamond and moonstone. The setting makes it look lovely, and it is also an adorable fashion piece that you can rock with any outfit you have. Purity and beauty are two features that should be part of your engagement, and they are boldly written all over this jewelry. 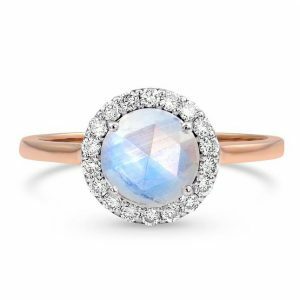 It is designed as a rose gold solitaire and to accentuate is, a genuine rainbow moonstone was used. 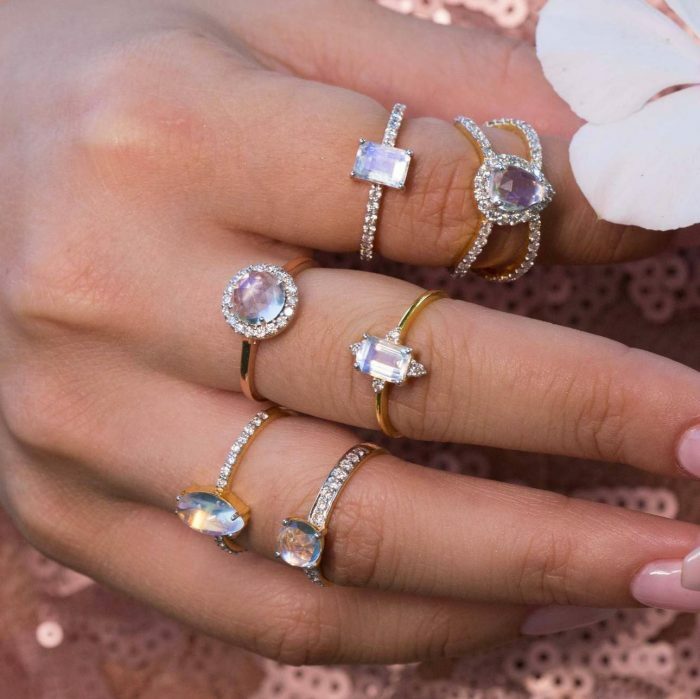 The name halo comes from the iced diamond that surrounds the moonstone, there are 18 of them in total, and they sparkle beautifully on your finger. The dimension of the ring is made to look nice on your woman’s finger. Your woman deserves the best, and we agree with that, so choose this piece and glam up your engagement. The whole concept is a balance of color, shape, and size makes an exclusive statement daily. Other info: the ring has a bandwidth of 1.7 millimeters, clarity rating of VS-2 and weighs just about 2.39 grams. There are also different band sizes that you can pick from. It has always been the daydream of any girl to grow into someone princess, and you can give her just that. This option is shaped like a crown for the finger, with its pear-shaped gemstone and arched middle. You might not find any other product with so much to recommend. 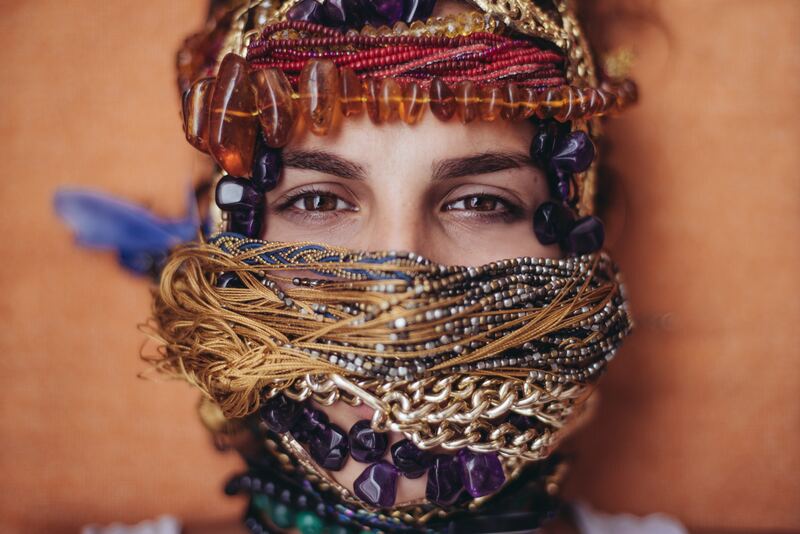 There is no need to have it in your hands before you feel the mystic power if love radiating from the jewelry. Diamonds have always stood for purity and everlasting love, and moon magic made use of this enchanting gem to create the remarkable piece. The moonstone is correctly set into the center of the band; and adds to the aesthetic pleasure of the whole ornament. The band of the ring is made with solid 14 kt yellow gold, and the entire arrangement reflects a plethora of color when kissed by the sun. There isn’t a thing wrong with the whole component used for the ring. You want to start your life-long journey with your partner on such a perfect note. And there is no better way to begin than using this lovely talisman. Get this classy piece and we guarantee you that you should be amazed by how well it fits your woman. It comes with a 30-day return policy. Other info: The ring weighs 2.66 grams, the diamonds is 0.27 carat, and it has different band size. Ever seen those fairy tale movies with their big, beautiful eyes and radiant crystal glimmering all around each scene. We have something that can create that effect for your wedding. 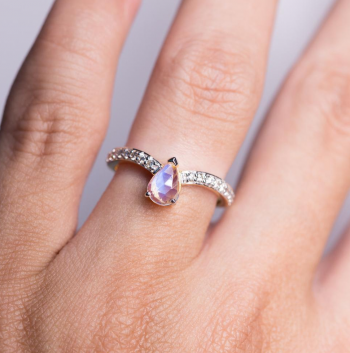 With this enchantment ring from Moon Magic, all you love dreams can come through. All she needs to see is the glitters that surround the heart-shaped piece, and she will be purring to spend the rest with you. Crafted with genuine and iridescent moonstone the billowy moon on a water effect cannot be more visible. It is also embellished with crystal clear diamonds that twinkle in any form of light. If you are a fan of purity, then you will like the solid 14 kt white gold used to make the ring band. You would always cherish that moment when you slipped this ring into her finger. The balance between simplicity and extravagance is not easily achieved, but with expert’s hands and years of experience, moon magic pulled it off excellently. There are 17 conflict-free diamonds, and the band is 2 millimeters thick for the best fit. You can order for yours and enjoy an engagement that would always be reminded of the love that never fades. The materials are also durable and will last for a lifetime. Other info: the stone size is 0.24 x 0.24 inches and has grade AAA rainbow moonstone. When choosing a ring for your engagement, you don’t want something that contains tarnish, lead or any other harmful materials. And that’s why at Jewelry Jealousy, we only bring you products that won’t harm you in any way. The band was crafted with solid 14 kt rose gold that glints look like it was craved form the sun. At the middle of the band, a rainbow moonstone of grade AAA was set into it. That’s not all; there is a little twist like shape infused into the band with diamonds injected into the center. The whole set is a piece of glam waiting to sit and glitz up your hand. Radiating with a sweet and dainty look, this piece placed on your finger would be a dream come true. The price of the ring is relatively affordable, and we think you wouldn’t mind paying the worth of the ring for such high quality and detailed design. Other info: the ring is available in different band size. You can also get a matching diamond tiara to go with it. Think of 32 diamond decorating your ring, imagine how much dazzle it would cause and how gorgeous it would look. Well, you don’t need to think too far, this ring has all you have imagined. It was designed to please, and the aesthetic appeal is off the charts. There isn’t a curve not made to perfection, seeing it would make you swoon with awe. They are made with tiny diamonds and an iridescent premium rainbow moonstone. The diamonds have extraordinary sophistication, and the hexagonal shape they form is exceptional. There is also a moonstone right at the center of the arranged diamonds. The whole components were arranged in a pave setting. It would be impossible not to feel special as you stare at this ring on your fingers. Apart from the feminine energy that moonstone actively represents, it also gives the wearer healing and protection. You certainly can use these mystic powers, and you can get them in this ring. As the bells draw closer and the preparation heightens, don’t forget the most significant thing for your special day, order yours and get it soon. Other info: the diamonds are 0.33 carat, while the rainbow moonstone is 1.65 carats. There are also different band sizes for different fingers. 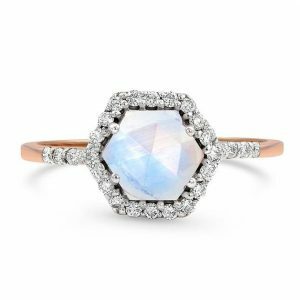 Famous for its play of lightning and its allure, moonstone brings a touch of beauty to any jewelry it is used to accent. This piece has the gem at the center of its band, and it makes the ring look outstanding. Also, a thousand sparkles that the diamonds used to accent it add is something worth looking forward to. The stone is rumored to have psychic powers so you can hold it under the moon and wish for the eternal love. To add a magical touch to the solid 14 kt gold band used to craft the end of the ring, five outstanding moonstones were set around the ring. The bit of perfection continues with 16 conflict-free diamonds used to separate each of the moonstones. It’s glam all round, and there isn’t a corner of the ring that doesn’t reflect gorgeously to complement the wearer’s fingers. Complement your engagement with an ethereal grace with ‘simplicity”. Chic, awesome with quality build there are only positive comments to give for this price. Order for one and you will undoubtedly be glad as you open the package. Other info: the diamonds weigh 0.12 carats, and the rainbow moonstone is grade AAA. Textured bands lined up with an array of shiny and dazzling jewels is such a delight to behold, and that is what we have right here. The piece was crafted by professionals who have years of experience in using quality components to build ornaments that melts the hearts. And these are the set of people that you need to help you craft a fantastic ring for your engagement. There is no doubt that you will be charmed by the tangled up sing and it will spice up your engagement with its intriguing features. The moonstone accented ring is one of a kind with a design that looks like the band was twisted to the back. It was crafted with a solid 14 kt band and came with two teardrop 0.03-carat diamond set into each side of the gemstone. Everything is where it should be, which is precisely what you need for a perfect engagement ceremony. The ring is dainty but won’t fail to make a complete fashion statement with any outfit you put on. Another fantastic thing about this ring is that it works will all tones of jewelry. 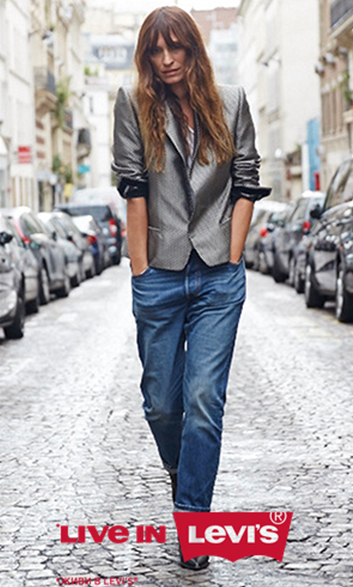 So no matter what accessory your partner has on, it will just blend perfectly into her stunning appearance. Get it for an affordable price from Moon Magic. Other info: the ring weighs 1.55 grams and has stone size 0.20 inches. Here is a piece that is covered in diamonds and June birthstone to crown its beauty. ‘Tear of joy’ is perfect for your engagement and it will evoke tears as you seal eternity with her. The aesthetic appeal is top-notch, so this does not just work to make her feel loved. It also makes a bold fashion statement while sitting there on her fingers. The sparkle of one diamond is enough to get you noticed, now imagine the effect that comes with having 29 diamonds on the same ring. The ornament is awe-striking, and it will leave you breathless with its dazzling looks. There is also a rainbow moonstone set into the center of the band, and even that has a diamond surrounding it. Each piece of diamonds and the moonstone were immaculately arranged so that not one of them looks out of place. By now, Moon Magic should already have a good impression on your books. They crafted this ring will top quality materials. It is durable, reliable and won’t weigh too heavily on your budget. So you can order for one and make your engagement a memorable one. Other info: the tear of joy ring has different band sizes that you can pick from. The diamonds are 0.4 carats each, and it weighs 1.69 grams. 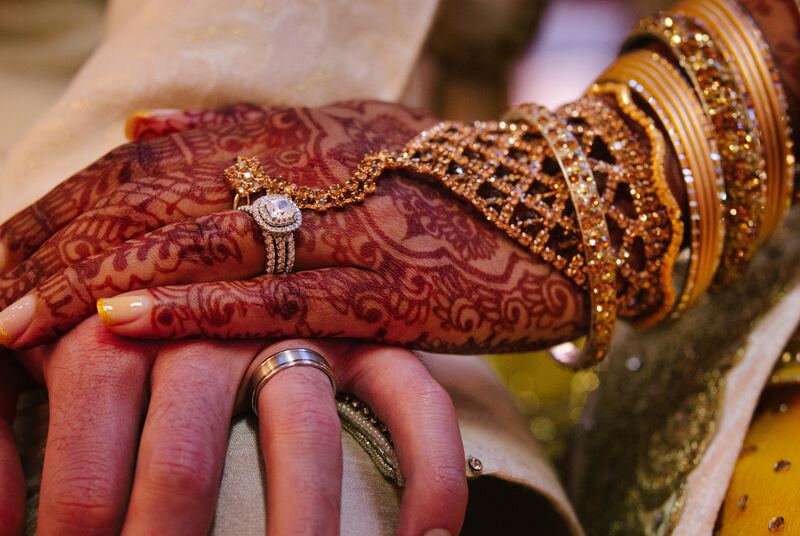 Engagement ceremonies are a step in the right direction for lovers. It puts a seal on your love for each other and will be remembered for years to come how you looked into each other eyes. 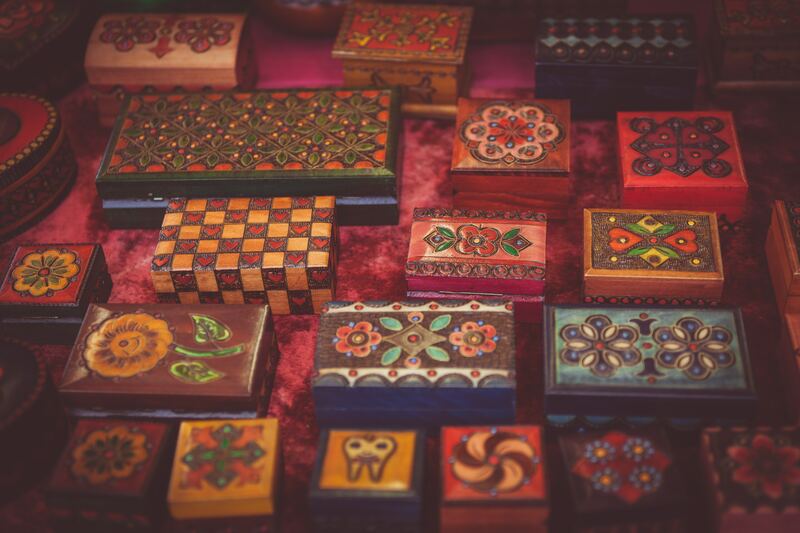 Well, there can be no engagement without an engagement piece, and if you haven’t chosen from the last nine, then this will undoubtedly catch your delight. 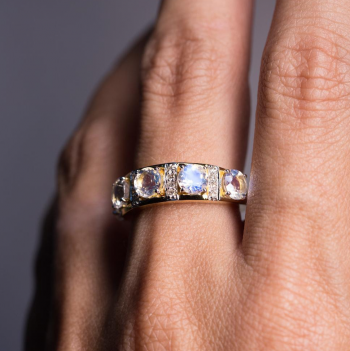 It is a ring that carries the moonstone boldly and features a design that is not only intriguing but promises a lifetime of stunning color and classic looks. The first and most prominent feature is the big, bold moonstone that sits at the center of the ring. It measures about 7 x 5 millimeters and retains its chic looks effortlessly. It is also accented with four 0.12 carat diamonds to make it steal all the spotlight and beam them right on you. It’s your day, and there is no reason you shouldn’t be the center of attraction. Moonstone is rumored to hold the power of the moon so that you can fortify your forever vows with clarity and protection. The product features a classic solitaire setting that sparkles on the hands of the wearer wherever you go. Other info: the band weighs 1.7 grams, and the moonstone is 0.85 carat. All moon magic products come with a 30-day return policy. When it comes to engagement pieces, there is an array of collections that you can choose from. You can choose from gold rings to diamond rings, and even silver would look quite right. But we have something different from the common gemstone for you. 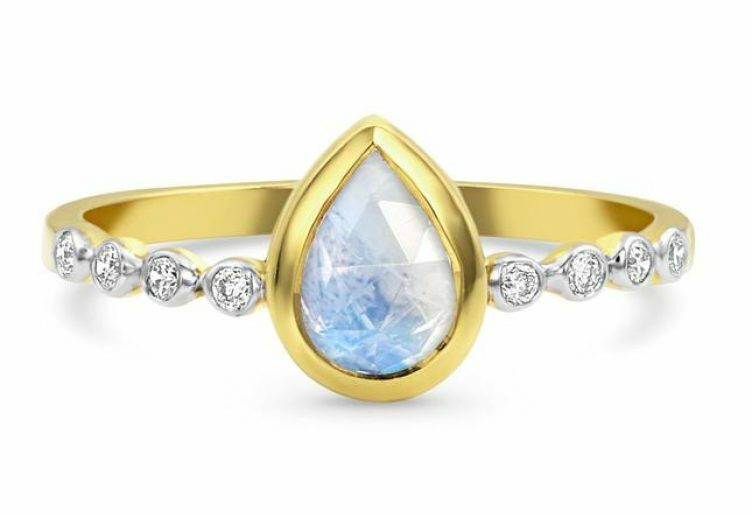 Moonstone options are fantastic and would look charming on just about anyone. They are full of good vibes, and they introduce positive energy into your forever vows. 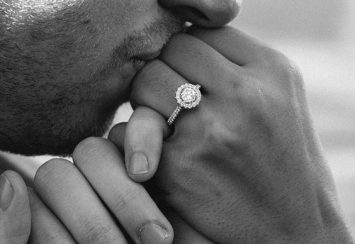 Engagement jewelry started to be a thing around 1477 when Archduke Maximillian commissioned the very first diamond piece. 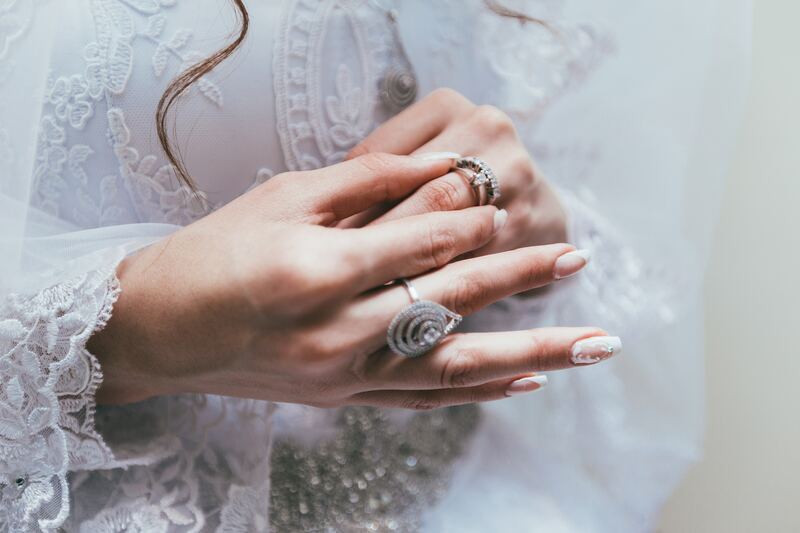 You might not have known, but they are always worn on the left-hand ring finger because there is a vein in that finger called ‘Vena Amoris’ or the vein of love. The popular notion is that the vein connects directly to the heart. But with moonstone entering the fashion industry in the 1960s. It quickly spread it amazing looks with warmth through the hearts of jewelers. And now we give you magnificent pieces used to accent rings, look through and find the best one for your engagement. Additionally, they have all the features that make them awesome and your commitment will be captured in the eternal power of moonstone. With expert craftsmanship and detailed design, we have been able to select rings that would not only make your day a memorable one but will give you beautiful memories every time you stare at it. 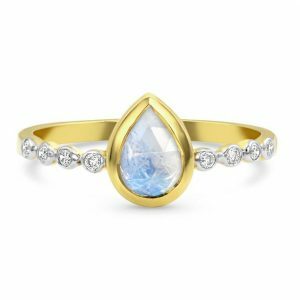 If you are looking for a unique ring for your engagement day, then we are sure that introducing you to moonstone engagement rings should work. They are mystical, stunning and won’t fail to please your better half. 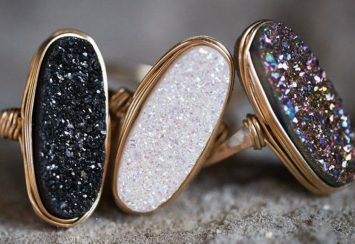 However, if you still need answers to certain things that are bothering you about moonstone rings, we have added up some question here and provided satisfying answers to please you. When trying to get a ring for your engagement, you want to get one that is durable since you are going to be wearing forever. Well, moonstone is really strong, but they are susceptible to cracks and chips when they accidentally hit a hard surface. 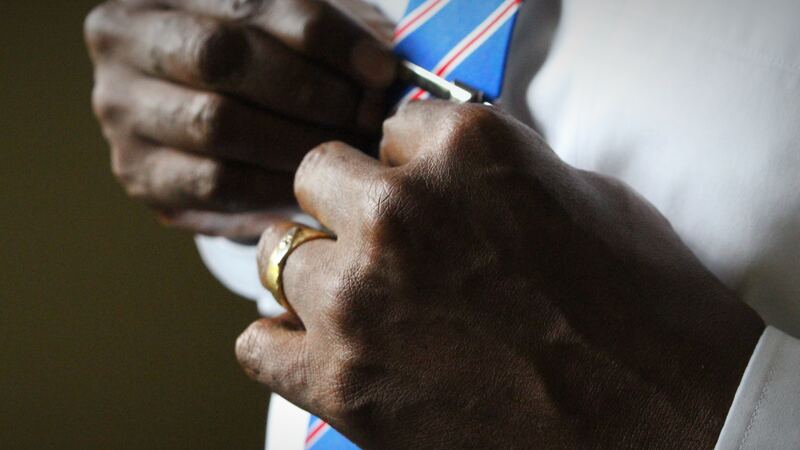 Good news is that you can avoid it, make sure that you are not wearing your rings when going for sports or gym. 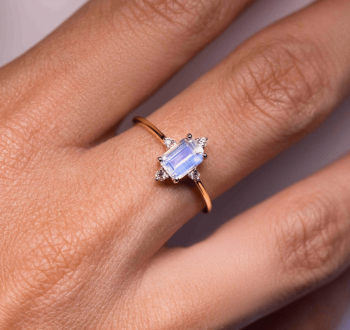 What is the best color to complement moonstone rings during engagements? 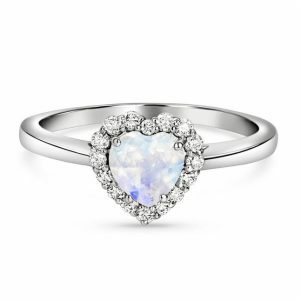 No colors or accessory style doesn’t complement moonstone engagement rings. All you need to do is look for the best gown you can find, and you are good to go. This is partly because moonstone reflects different colors in light, and it is simple enough to have a perfect fit with any style you choose. Do I need any particular technique or cleaning product to clean it? The answer is no. But you certainly can take excellent care of the ring. Try to keep it safe by keeping it in a soft pouch when you are not using it. You can also use mild soap and water to clean it. Take it to the jewelers once in a while to help you clean it ultrasonically.